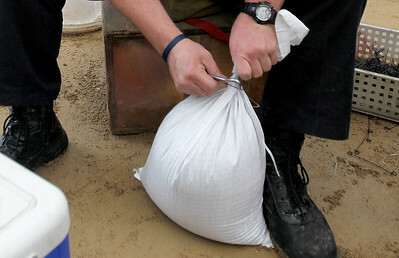 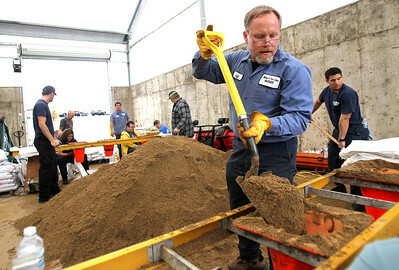 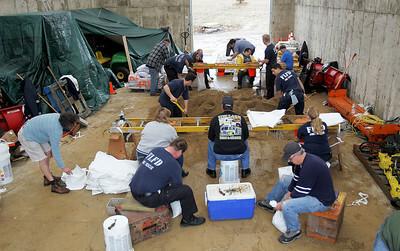 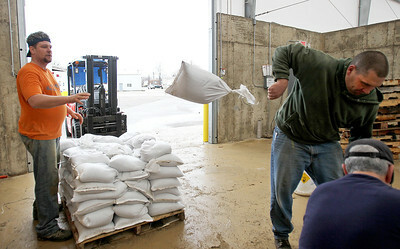 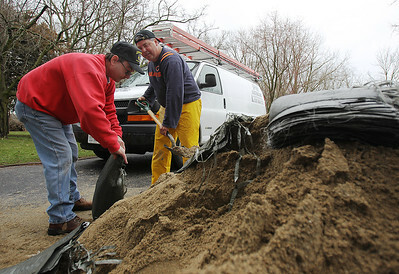 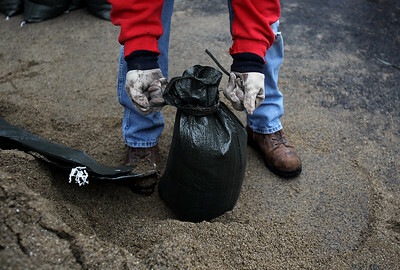 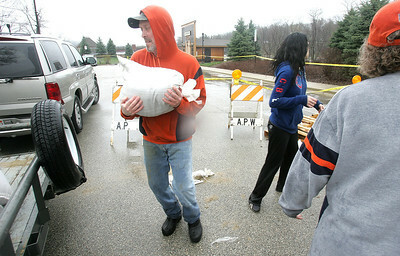 Volunteers work to fill bags with sand at the Fox Lake Street Department to distribute to those in the area who may need them on Thursday, April 18, 2013. 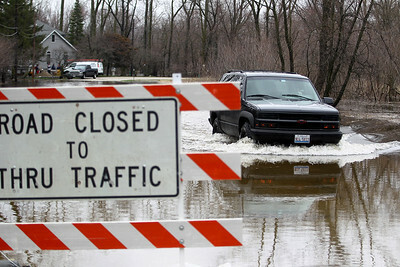 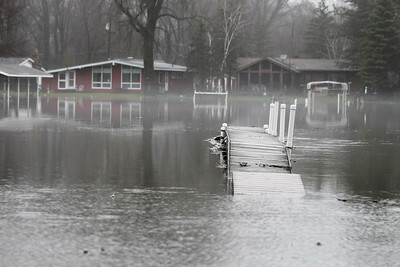 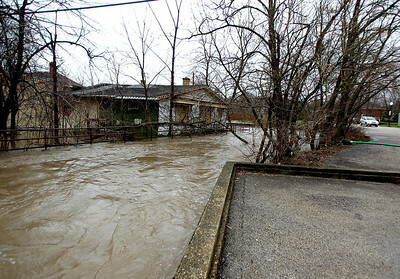 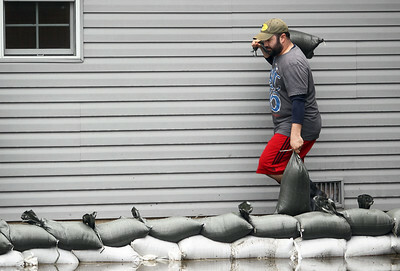 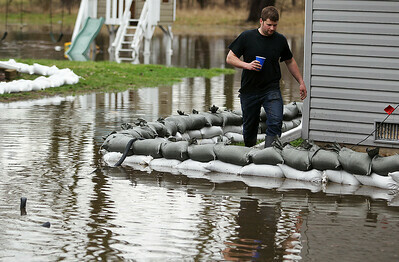 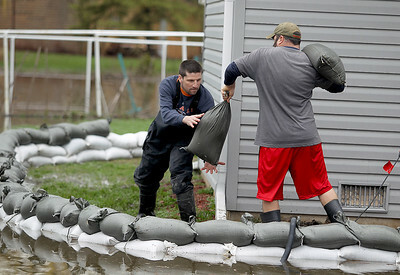 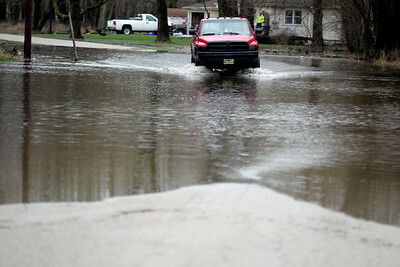 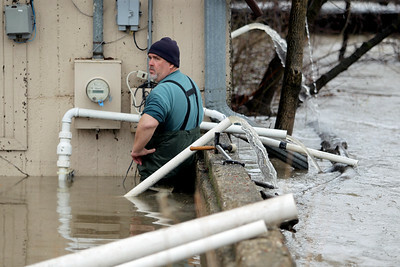 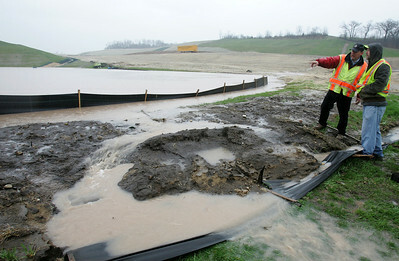 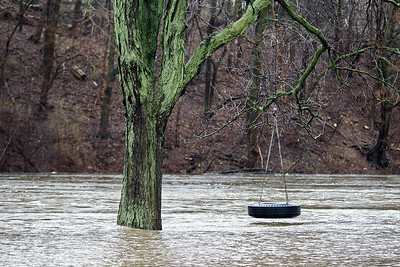 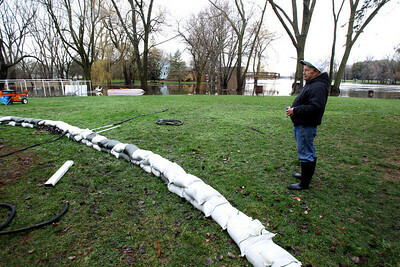 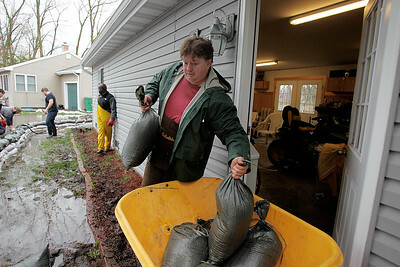 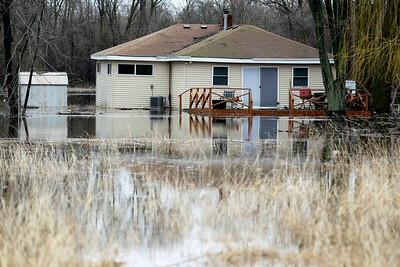 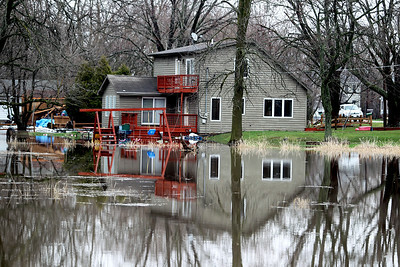 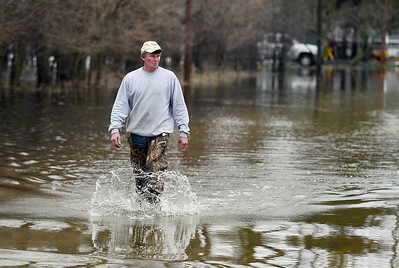 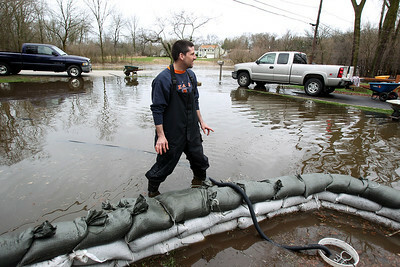 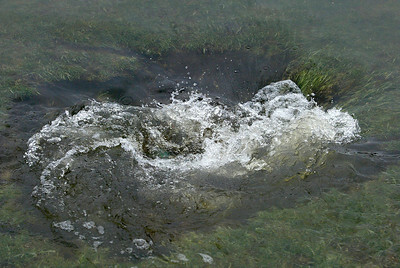 Water levels are encroaching on many homes in the area after heavy rainfall. 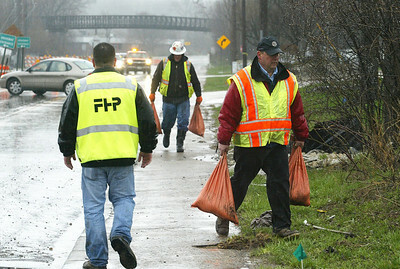 An estimated more than 12,000 bags have been filled by these volunteers.